Whether it’s a favorite frying pan, piece of patio furniture, or even a radiator, you can bring it back from a state of oxidation with these techniques. Cast iron is so strong and durable, it can serve for a lifetime and beyond. Yet rugged as the material is, it only takes a little neglect to send it from stately black to reddish and wrecked-looking. Rust damage can arise from storing in a damp environment, failing to maintain good seasoning on cookware, or being lax about protective anti-rust painting on furniture. Thankfully, most of this is reversible surface damage, if you put in some time and elbow grease. So to make that skillet or garden bench heirloom-worthy, employ these trusty rust-busting moves. If your skillet is even a little rusty, quit cooking in it ASAP. Once you get it back in shape, you’ll season it anew and be good to go. Check the skillet for pits or craters. 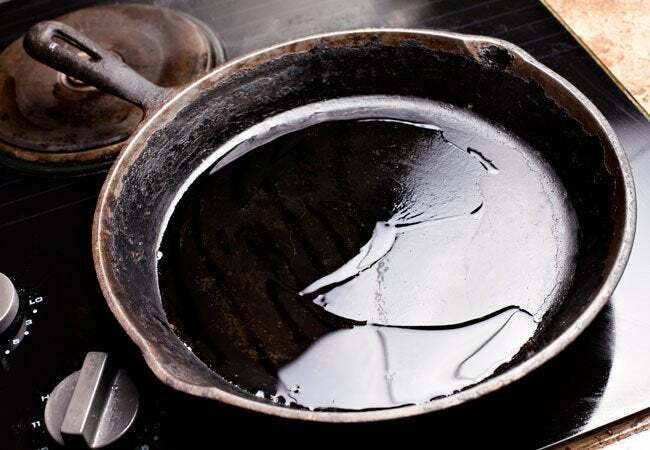 If lightly pitted, it might be fine with some extra seasoning, but deep pitting means your skillet is likely beyond repair. 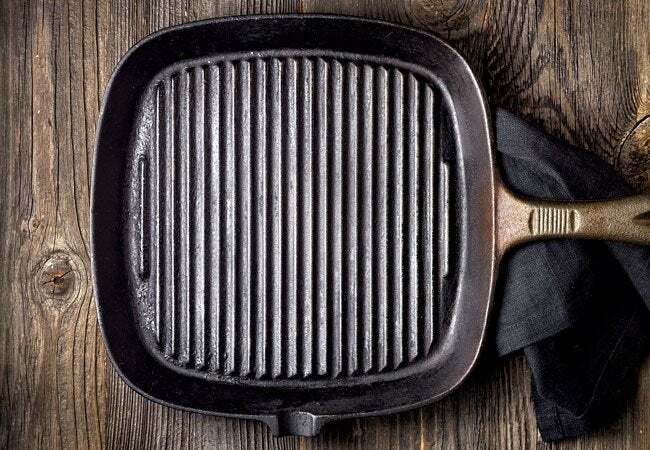 If the skillet has a thick layer of rust and very little visible black iron, soak the pan in a 50/50 solution of white vinegar and water in a plugged sink. Let it sit for at least an hour but no more than 8, since as soon as the rust lifts away, that vinegar will start on the metal itself. Rinse the skillet with water and then scour it with a small amount of dish soap and fine steel wool. Work up a sudsy scrub and keep at it until you’re down to raw cast iron. Rinse under warm water and dry thoroughly. To re-season, pour a tablespoon of vegetable or other cooking oil in the pan and use a paper towel to rub it in to the entire skillet, including the sides, handle, and bottom. Place it in a 350-degree oven for 1 hour. Allow it to cool completely before use. • Never put it in the dishwasher or use soap. Instead, simply wipe it clean under hot water after use. • After cleaning, dry the pan thoroughly with a clean cloth or by popping it in a warm oven for a few minutes. • Wipe with oil after drying to maintain a good non-stick seasoning. • Always put paper towel between the pan and anything you stack it on, or in it, to protect seasoning and prevent rust. • Keep any lids ajar so moisture isn’t sealed in, as closed lids can trigger oxidation. Unless you’re experienced using a sandblaster, call a pro for larger areas of heavy rust. But for typical rusting, roll up your sleeves and try these tips. For small, pesky spots, soak a clean rag in white vinegar. Wipe and rub the spot until you see bare iron. For tougher spots, sand them with medium-grit sandpaper or a steel wool brush. Pull on a pair of work gloves and mask (especially if removing paint in the process) so that you don’t inhale the dust. Wipe with vinegar-soaked rag occasionally as you work, to see if bare iron is visible. Use a water-dampened rag to wipe the surface clean and to stop the vinegar from further corroding the surface. Dry well with a clean cloth. For larger sections of heavier rust, sand using circular motions. 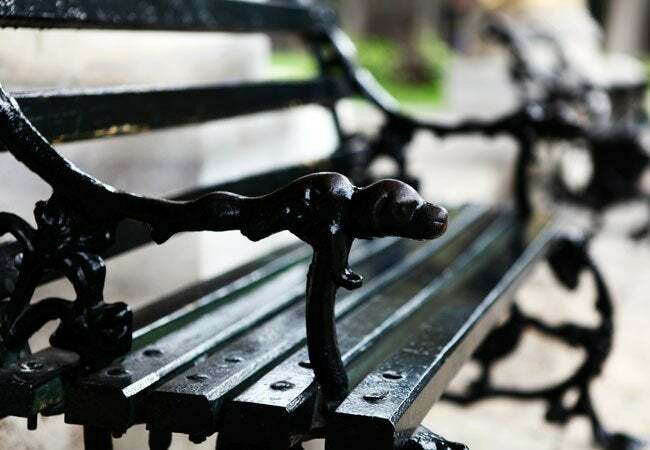 Avoid working in any one spot too long so you won’t leave obvious sanding patterns in the metal. Continue as directed in the previous steps, being sure to rinse with water and dry completely.